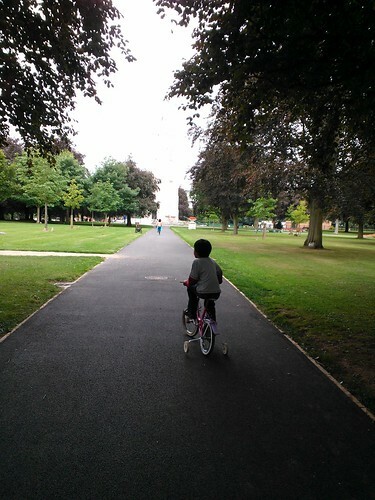 Today, for the first time ever, Imaan rode the bicycle!! And boyyy, he sure did it with style :). I am so very proud of him. Awesome! We owe this wonderful progress to CD/CDS, Kalcker's PP and most importantly to Imaan's flexibility in confronting his fear. He is our superstar. That is his sister's bike, a girly bike. We will get a shiny new one for him soon. Weehooooooo !!! WELL DONE IMAAN.